Baby & Me 2 by MegaFood is a pre-natal and post-natal dietary supplement that seeks to support the health of pregnant and lactating women as well as their developing babies. It was formulated for mothers by internationally recognized integrative medicine expert Tieraona Low Dog, M.D. Ships today if you order in the next 4 hours 51 minutes. Auto Ship & Earn + 157 Points What's this? MegaFood uses whole foods from trusted farm partners to make its Baby & Me 2. 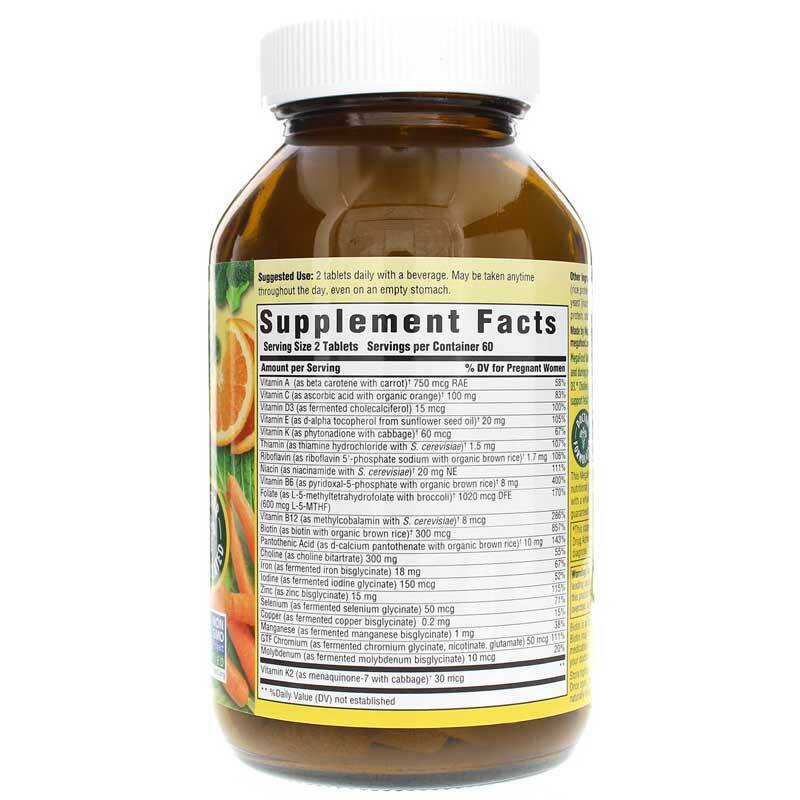 This quality supplement has plenty of folate, which may reduce the risk of neural tube birth defects. It also contains easy-to-digest iron to support mom's hemoglobin and iron levels. And, all eight B vitamins work to support healthy energy. Since this product is made with whole foods, the essential nutrients are easily digested and gentle enough to take on an empty stomach. Baby & Me 2 is made with farm-fresh broccoli, brown rice, carrots and oranges. 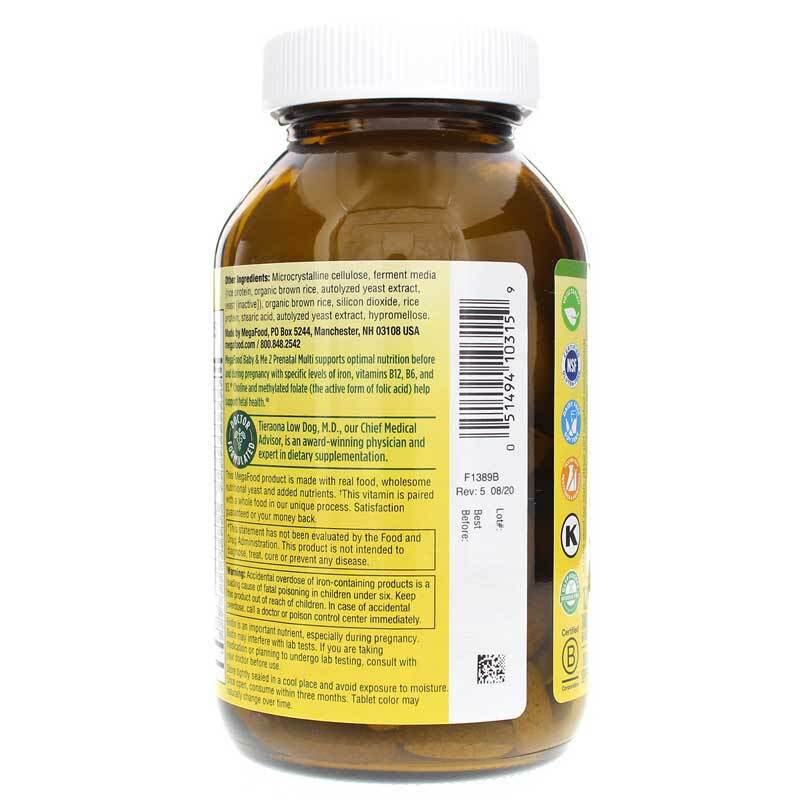 This formula is free of calcium and magnesium. It does not contain soy, gluten, dairy, GMOs, herbicides or pesticides. 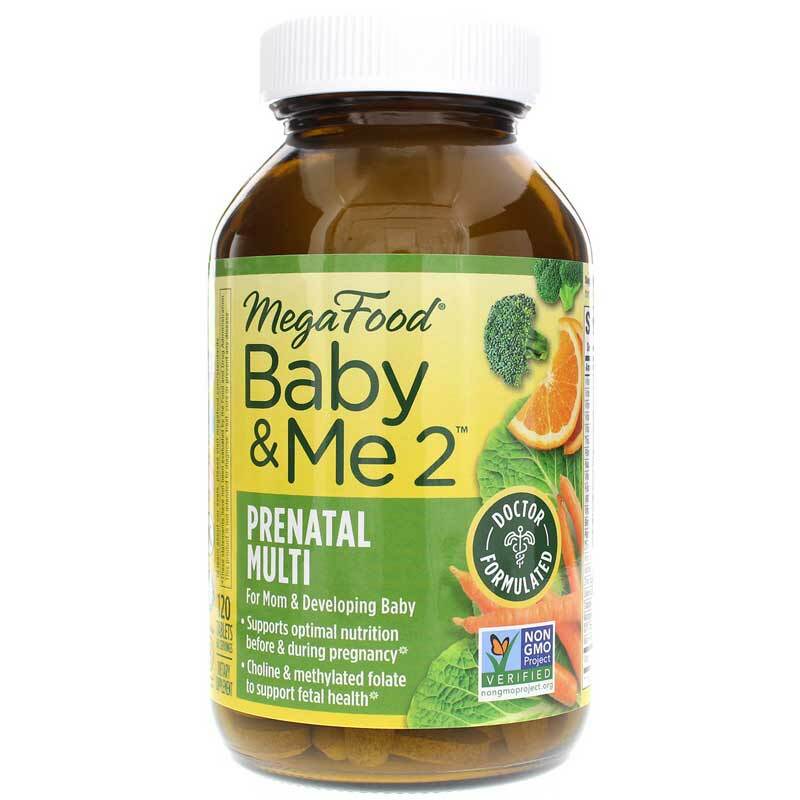 If you're looking for an easily digestible prenatal supplement that is made with fresh whole foods, consider MegaFood's Baby & Me 2. Contains NO: soy, dairy, gluten, GMOs. Vegetarian. Kosher. Adults: 2 tablets daily. May be taken anytime throughout the day, even on an empty stomach. Accidental overdose of iron containing products is a leading cause of fatal poisoning in children under 6. Keep this product out of the reach of children. In case of accidental overdose, call a doctor or poison control center immediately.